Very cool. GEM for .NET. I hope this takes off! Gems allows people to add repositories to a config file so you can host your own gems... That feature would be great for those of us that share a lot of internal libraries,. hopefully it will be in there? This looks awesome, but as a "nu" user I'm a bit confused. Does this work with nu gems? Is it supposed to supersede it? Also, does it work without VS? Meaning, can I manage the packages in a command line? NuPack is something I have bean yearning for a while now. I question though. How can you set up a local repository? Where I work, we use IVY dependency management for our backend (Java/Linux) system. This seems like it could be the piece we have been looking for on the Windows/.net side. This product requires Microsoft ASP.NET Web Pages 1.0. Please install the missing component, then try to install this product again. Henok, currently you need Web Pages (Razor) 1.0 to install MVC 3 because MVC needs Razor, and NuPack is along for the ride, In the future this will be cleaner. Use Web Platform installer if you want a one-click install experience. It's a preview for now, so there's some install dancing. This is absolutely awesome! I have been on the MS stack since the VB5 days and I am extremely happy to see the incorporation of good open source projects to help make our lives better! Keep up the good work Scott and I'm looking forward to good things from you and your new team! that was aimed at the same niche. 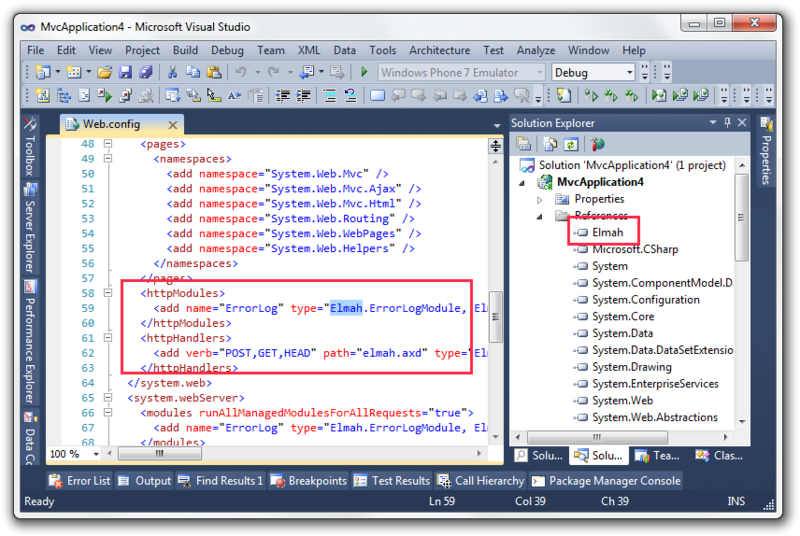 +1 this has been a sorely missing piece in .net for a good while. This looks fantastic for both internal and external usage. Can you point us to some guidance on how to set up an internal feed? I've got a dozen or so internal libraries that I would love to configure using NuPack. Great stuff Scott, all the best on your nu move. One thing I noticed that concerns me is that installing a package puts both the package files and a .nupkg file in my /packages folder. This means I am essentially checking in the packages twice into source control which is going to be slower and bulkier than necessary. Is there any harm in excluding .nupkg files from source control checkins? When are these package files used after an install? Scott, where does this leave coapp (www.coapp.org) ? Are you sure that "Community Architect" is a real job title? Or it's just to impress the chicks? Let's say I already have log4net in my solution and the package also needs it. Is it possible to tell the package to use existing reference as I do not want to have two copies of the same library or do I need to do it manually after referencing the package? Hmm, this does sound very much like http://nu.wikispot.org/, but withouth the ruby hassle - I like that a lot! Michael Herndon - Yes, the Nu team is involved and we merged all the names. Ian - It borrows more from gems. Package Management like apt-get and deity before it in 1997 is a pretty well understood space. It's not rocket science. 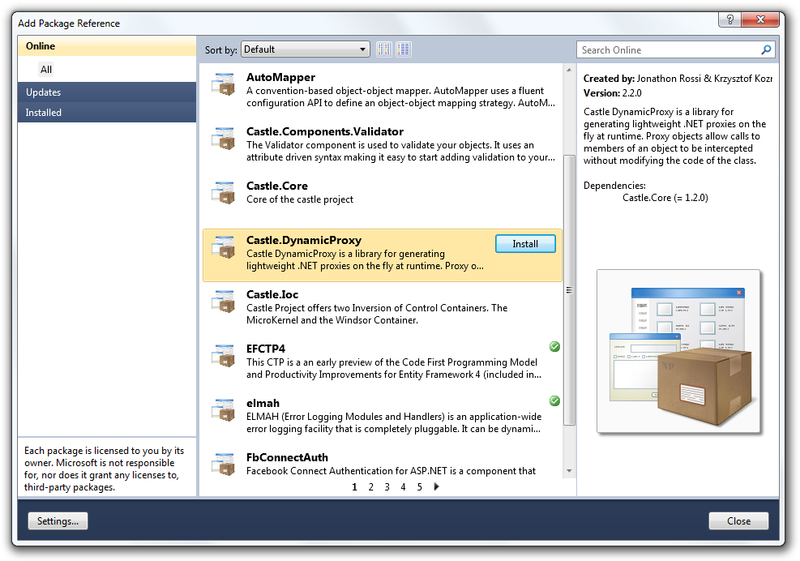 OpenWrap takes a different approach, hooking into MSBuild and creating references, much like Maven. There's also been Nu, Horn and other package management systems before, so there will always be familiar themes. digiduck - The nupkg file has some metadata information in it that's not expanded, and they are used at uninstall time. File an issue, though at CodePlex, because you bring up an interesting post about file size. Christof - Great question. We're working with Garrett. The basic idea is this. CoApp is system level package management ala apt-get. It's done at install time and affects the system, so if FireFox needs an SSL library at install time, it uses CoApp to get it. NuPack is developer-time and local to projects, like gems. So if I developer wants a library in their current project, they get it with NuPack. Make sense? Eduardo - It's entirely designed to impress the chicks. And maybe a few dudes. Giorgi - Good question. I'll look into that. It's a valid use case we should track in Issues. Let me start by saying that this is good news for the .NET developers out there. As a former one of those (rails nowadays, but still have Scott here in my reader list) I think it would a tiny but important point to perhaps give a bit more of 'hat-tip' to those that have traveled this path before. 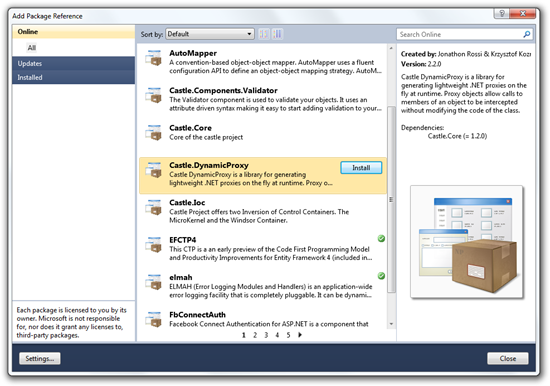 Package management comes from the various lively non-Microsoft, open source communities. Nothing in this is Nu is very new, and it would be at least polite to acknowledge that, i.e. Microsoft has not (wisely) invented this stuff so why not give credit where it's due at least in terms of history? Where's the harm in mentioning that in this blog post or in the project page (i.e. more)? One of the reasons I think why non-Microsoft developers are so mean to Microsoft guys is that they give the impression of basically stealing and running with things that work, i.e. like a very slow burglar. While I know that not to be true, it does seem as if there are two worlds of which Microsoft is some shadowing mirror development shop which tends to follow on with in-house (always with the in-MShouse, sigh) clones about 3+ years after something is established. Anyway, minor point but something to consider - standing on the shoulders of giants is fine, but don't forget to look down occasionally and say 'thanks'. David - Extremely valid point David, thanks for your comment. I'll update the first part of my post with even more clarity to your point. And it's something important to us all to remember. This is definitely very cool. It reminds me a great deal about the 'elpa', emacs lisp package archive, which works as a repository and installer of emacs lisp packages, as the name implies. I wish you great luck in your new professional endeavours! Pretty cool. Why powershell? I would love for it to be GUI with powershell behind the scenes and have the ability to use either. Out of interest, which is the "central repository" and how do people get their code onto it? The nice thing about RubyGems.org is that I can just easily create a new gem and push it, without other people have to import my repository (like on apt-get, where people need to edit sources.list as the official repos are rather closed to developers). Might be an idea to work with the CodePlex.com guys to get an official NuPack CodePlex Repository that is built into NuPack by default and allows people with CodePlex Accounts to add new "gems". 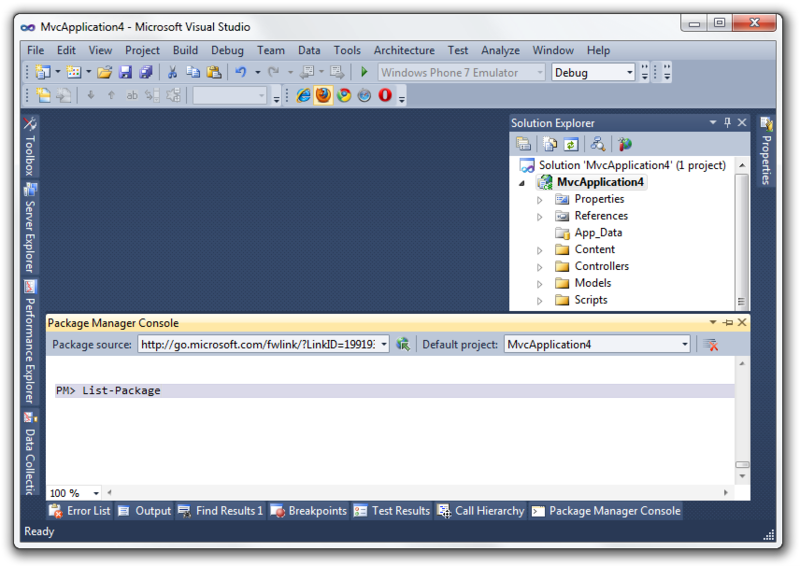 I would like to know more from the "package builder" view. How do I build, test and deploy a package? Michael Stum - As this is alpha-time, for now the central repository is just a box somewhere hosted. It'll probably end up at nupack.com or something and will be in a gallery application, like rubygems.org. You'll be able to push your packages up there. And, as I said, folks can have their own repros also. We're talking to the CodePlex.com guys and make it easy to publish packages. Morgan - You can Create your own package here. Am I the only one that initially read this as "GuPack" and thought, "Oh no, Scott Gu's head is getting bigger!" LOL! Just kidding. This is just simply awesome. I love that PowerShell is working its way into more an more areas. Give me the GUI for when I want to make things nice and easy to start off but PS when I want to get into the nitty gritty. However, you all are making me work harder! 10 years ago Microsoft launched something new that was relevant to my work only like every few years. I had plenty of time to learn the dos and don'ts. Now it seems like every week there's some new freakin' cool technology that I have to use. Both a blessing and a curse. I have that trepidation that if I don't learn the new tools I'm not being as efficient as I could be. Definitely a bad feeling for a developer. Anyway, keep up the great work and I'll just have to dust off my GTD book. It's good to see Microsoft finally getting in on the package management scene; there's been a lot of activity in the Alt.Net space over the past 6 months or so, but getting "sanction" from Microsoft will be a great help. Will it be possible for orgs to create their own internal NuPack repositories? I can imagine that this would be ideal for dev teams with complex interdependencies, and would be fantastic as a means of release management. David - Absolutely, I thought I said that in the post and in the comments, but YES. 1. 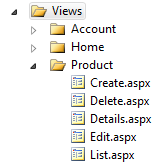 Just put them all in a shared folder structure and it'll be treated as a "feed"
3. Run an instance of the (not created yet) feed server/gallery. I downloaded the .vsix but it only shows up in Visual Web Developer Express and not Visual C# Express or Express for Windows Phone. Is this a restriction with the CTP version? If yes, will it be lifted in the beta? Eddie - Sounds like an oversight. 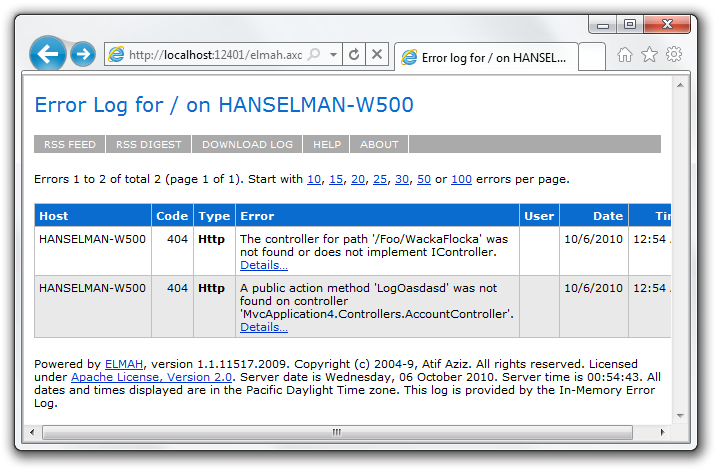 Can you log a bug at CodePlex? We've barely had time to enjoy all the productivity gains from the faster add reference dialog and now we can use powershell to add dependencies... if only file->new project opportunities weren't so rare. Issue logged. Sorry. I should have thought of that first myself. Looks good option to me.. Will be easier to distribute code to the developers around the globe. Before compiling one wouldn't have to go and add all the library references.. will give it a try. This looks great! It will get a lot more people use open source projects in their code, because now there is an easy way to do this. Also, congrats on your new job. It looks cool to me to work with the Gu. Very cool, can't wait to work with that. Hat tip for making it open source! Congrats for the new job. I wish you all the best, and hope this move will make the involvement of your division with the OSS community even deeper and better. Congratulations for your new position, are you going to be involved in the IronRuby / IronPython project also? I kind of wish Apache Maven (for Java) and her "daughter" Apache Ivy had a command line dependency installer like NuPack does. Instead, they force me to dink around with XML files. I do have to agree with brianary, though, the concept for NuPack sounds a lot like Perl's CPAN. The difference being that CPAN is normally machine-wide rather than just per-program/project/solution. CPAN also occasionally suffered from dependency (or DLL) Hell, where certain packages would have dependencies on different versions of the same package, or a package version would be pulled, orphaning a package that depended on said version or newer. Hopefully NuPack avoids this dependency Hell. P.S. I heard from ScottGU's blog that a new beta of ASP.NET 3 and WebMatrix are out, including an updated version of Razor templates No love for them on your blog? I noticed the default package list 'Demo Feed' (http://go.microsoft.com/fwlink/?LinkID=199193) doesn't contain some of the packages in your post here (elmah in particular). Is that an accident? I just installed NuPack and noticed that EFCTP4 is not in the package list. 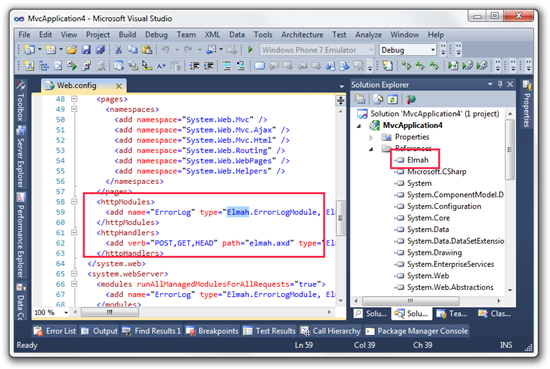 There are two that might be related; SQLCE and SQLCE.EntityFramework. Are these the same thing or did EFCTP4 get removed from the list of packages? This all sounds nice, but I don't see any mention of cryptography (and I'm too lazy to RTF NuPack source code). What sort of cryptography is used to secure & authenticate this whole set up? You've mentioned Linux package management systems, and they've used stuff like PGP for years to allow cheap distribution of trustworthy packages over hostile networks. Does NuPack use (require?) Authenticode? Something else? Nothing? "System.TypeLoadException: Could not load type 'System.Management.Automation.Runspaces.InitialSessionState' from assembly 'System.Management.Automation, Version=1.0.0.0, Culture=neutral, PublicKeyToken=31bf3856ad364e35'. at NuPackConsole.Implementation.PowerConsoleToolWindow.get_WpfConsole()System.InvalidOperationException: Can't start ConsoleDispatcher. Host is null. I double checked and I have that assembly (same version and public token) in the GAC. Any idea of what that could be? @Allan I'm not sure if it's a mandatory requirement or not, but do you have PowerShell installed? @k4gdw: there were some feed issues, but EFCTP4 is in there now. 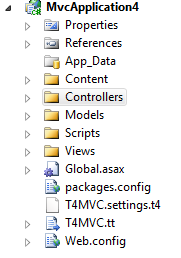 You may need to restart VS.
Re-reading my post from earlier, I realize I had a derp moment when mentioniong ASP.NET MVC 3... still, no mention of the new WebMatrix beta? I'll get around to it, but I didn't want to overduplicate all the other WebMatrix posts. Hi Scott, please I'm having the same issue as Allen above. Any help? Wow, that's going to be a real time saver. Hey Scott, thanks for the post. I didn't get one thing from it - is nap command an equivalent for Add-Package, it's just an alias or what?